American DJ Stage System A DJParts - All Variety of Parts that DJ Needs. Build your lighting system modularly with the American DJ Stage System. 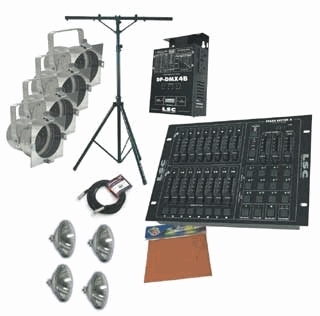 This main unit Stage System A package starts you out with stand, lights, dimmer, and master controller.